Together with Brian Solis, Nathalie Nahai, Golden Krishna and further international experts, we’ll dive deeply into the world of tomorrow’s consumers. At NEXT16 in Hamburg, we'll explore: What will move users, consumers or simply humans in the near future? And what does that imply for your business? It is all about the X says our first keynoter – digital analyst, futurist and the author of the recently released book ‘X: The Experience When Business Meets Design’. He is globally recognised as one of the most prominent thought leaders in digital transformation and innovation. And he’s got the X-factor. 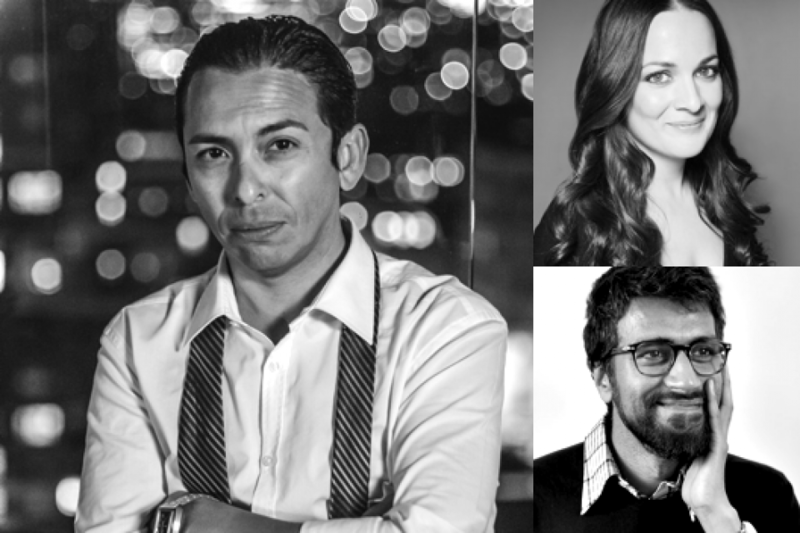 We’re happy to have him at NEXT16: Brian Solis. Watch this interview with Brian (held by t3n Magazine at SXSW 2016) to get a first impression of Brian’s thoughts about Experience Design. We're also proud to welcome Nathalie Nahai at NEXT16. The web psychologist and bestselling author will explore how the internet influences our behaviours and how businesses can harness persuasive technologies for good. She co-hosts the Guardian’s Tech Weekly podcast and helps Fortune 500 companies apply scientific rigour to their websites and products. Listen to Nathalie’s Tech Weekly podcast at theguardian.com! Design is there to simplify life. But far too often we tend to place just another screen between the human and the problem to solve. In his essential book ‘The Best Interface Is No Interface’ author Golden Krishna makes this point very firmly. He calls apps lazy rectangles and for a world, in which design really serves user needs. At NEXT16, we are very fortunate to welcome the design strategist (currently working for Google), who will show us a “simple path to brilliant technology." Together with Brian Solis, Nathalie Nahai, Golden Krishna and further international experts, we’ll dive deeply into the world of tomorrow’s consumers. How will their behaviour change and how will this transformation impact on product development, business models and strategies? So if you would like to join NEXT16, apply now to purchase a ticket! NEXT tickets will also be valid for the Reeperbahn Festival’s business conference and will include priority access to concerts and exhibitions during the festival.